One of the most pervasive and dangerous myths about alcohol is that can be a source of creative inspiration Musicians take drugs, writers like to drink, and popular culture often views their addictions with indulgence. 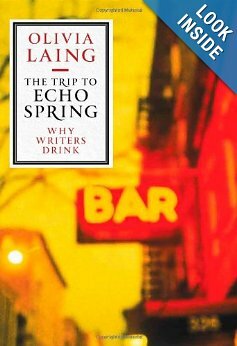 In “The Trip To Echo Spring: Why Writers Drink,” Olivia Laing offers plenty of evidence, if it were needed, to confirm that there’s little to gain from drinking too much – that alcoholism harms oneself and others, including those individuals who happen to be literary stars. It’s good to see the cliché contradicted. Laing looks at the lives of six American writers (all men) – F. Scott Fitzgerald, Ernest Hemingway, Tennessee Williams, John Berryman, John Cheever and Raymond Carver. Slowly – too slowly at first, but then more persuasively – she pieces together her assessment of how drink filtered into their work. Just how painful these experiences were is clear. Berryman, who struggled with depression and later also died by suicide, at one point composed a summary of his life, which he read out at a treatment group: “Married present wife 8 yrs ago. Many barbiturates & tranquilizers off & on over the last 10 yrs. Many hospitalizations. Many alibis for drinking, lying abt it. Severe memory-loss, memory distortions. DT’s once in Abbott, lasted hours. Quart of whiskey a day for months in Dublin working hard on a long poem. Dry 4 months 2 years ago. Wife hiding bottles, myself hiding bottles … Lectured too weak to stand, had to sit. Lectured badly prepared… Literary work stalled for months.” And it goes on. A hazard for people who write about writers is that their own prose can feel dull by comparison with their subjects’. Laing, though, is an accomplished stylist and writes with a real flair. Her casual tone is somewhat misleading. This account is carefully put together, blending literature and biography, personal revelation with analysis. A couple of times, however, she goes over the top, and can then come across as overly emotional, precious or psychoanalytic. A suggestion that a Freudian neurosis between Berryman and his mother could have been at the root of his drinking is particularly unfortunate (and distasteful). “The Trip to Echo Spring” is structured around a journey, as Laing takes a train ride across America visiting places her subjects lived in and wrote about. Towards the end for her 34th birthday her mother joins her. In a way, this is a story of America as well as its writers; and in its preoccupation with their struggles and with what drove and influenced these men, it is about the literary process too. If any book has ever given me a true sense of what it means to be an alcoholic, this would be it. Doherty writes with sincerity and his book reads really well. I couldn’t put it down. Some of the situations he lands himself in through excessive drinking are shocking. I highly recommend looking into this book. I think you would appreciate it.